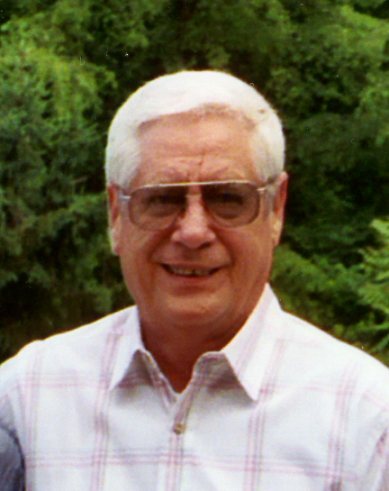 Bert T. Drum, 73, of Natrona Heights, passed away Saturday, January 19, 2019 in Allegheny General Hospital, Pittsburgh. He was born February 26, 1945, in Natrona Heights to the late Harry B. and Helene Schaeffer Drum. Bert was a 1963 graduate of Har-Brack High School. He was a Vietnam War veteran serving in the US Air Force with the 2876th Geeia Squadron in the Pacific Geeia Region. Bert retired as the Human Resources Manager from Du-Co Ceramics in Saxonburg after 38 years of service. He was a member of Our Lady of the Most Blessed Sacrament Parish, Most Blessed Sacrament Church in Natrona Heights, the D.A.V. and a past member of the VFW Post 894 in Natrona Heights, where he served as a trustee and historian. Bert enjoyed gardening and doing home improvement projects. He is survived by his wife of 52 years, Phyllis Sekeras Drum; son, Paul M. Sekeras, of Natrona Heights; niece, Michelle Croyle, of Natrona Heights; brother, Alan Drum, of Brookville; sister, Jacqueline Gift, of Washington, Pa.; and by many nieces, nephews, great nieces and great nephews. In addition to his parents, he was preceded in death by his brother, Gary Drum. Friends will be received on Tuesday from 9:00 am until the time of a blessing service at 11:00 am in the Cicholski-Zidek Funeral Home, Inc., 1522 Carlisle St. Natrona Heights 724-224-8688. Burial will be in the National Cemetery of the Alleghenies, Cecil Township. To send an online condolence please visit www.cicholski-zidekfh.com.